As we’ve noted in previous posts, when you’re making a choice between different providers for the security of your business there are lots of variables you need to consider. This includes if you’re looking to get a security alarm monitoring system for your business, fire alarm monitoring, a professional CCTV video surveillance system, card access control system or any other type of security system. Many people may not know that in many regions of Canada – Ontario, for example – unlike the fire alarm industry, there is no requirement for licensing or training for security-related installers. This means that anyone can start a security system and begin installing systems with little to no functional training on how to properly do their job. This has big implications as it relates to the security of your business, and the life safety of those in it. Organizations who certify themselves or join security-related organization commit themselves to meeting certain levels of service and other items which become important to you as a customer. 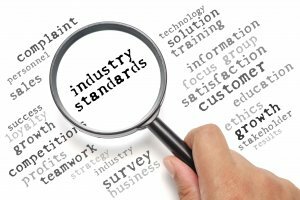 For example, security and monitoring companies who become listed for ULC fire monitoring installations (and subsequently issue ULC certifications) have specific standards they have to meet. For example, with ULC-S561 all fire alarms must be dispatched within 30 seconds without verification, and all service calls are required to be responded to within a specific amount of time. Another example would be a company who is a member of the Canadian Security Association. Members of CANASA must adhere to a code of ethics and maintain specific levels of insurance to remain members. In both cases there are repercussions for those who do not meet these standards, and these outside associations, in the end, are looking out for you. Memberships in these organizations does not necessarily require any specific certifications for the installers a security company employs, however. Therefore, it is important to what specific training the employees and installing technicians have in the company you’re looking to hire. General, industry specific certifications are one step that are very important. The CANASA ATC certification, for example, provides training on electricity and electronics, in addition to false alarm prevention techniques. The Canadian Fire Alarm Association (CFAA) also provides general fire alarm training which is important for anyone performing ULC fire alarm monitoring or ULC sprinkler monitoring. In addition to these general industry training certification, specific manufacturer level training is important. It is this training that will ensure that the products that you have installed in your business are programed for optimal performance and ideal training is provided for use. This is also important for when the inevitable service call arises, so that the responding technician isn’t just guessing to fix your problem. From an access control perspective, manufacturers such as Kantech, Keyscan and Isonas all have training certifications for installing and servicing technicians. Asking what equipment will be installed, and if there are certifications that go with that equipment is important. Security Companies which engage in this level of training and association, particularly in regions like Ontario which have no overriding authority requiring certification and training, show themselves to be proactive and learning-based. Learning based organizations have been shown time and again to outperform their competitors and this benefits you, the customer. Often, these certifications require on-going, verified continuous education meaning that the people who work on your system are up-to-date with the latest technology, trends and methods to best secure your facility and monitor it, keeping your business and your employees safe. ULC – Listed Companies are Subject to Annual inspection of their work and monitoring by the Underwriters Laboratories of Canada. TMA Five Diamond Certification – A Five Diamond Certification ensures that all of the monitoring station’s dispatchers have been provided training through The Monitoring Association on best practices as it relates to alarm handling and false alarm reduction. CFAA – This certification is required for any person to work on a fire alarm system. Any company (including fire alarm monitoring) which provides fire alarm monitoring should provide CFAA technicians, otherwise you will require your fire alarm service company to attend to attend to verify the work completed in the fire alarm panel. ATC – The Canadian Security Association (CANASA) provides alarm technician training which focusses on the proper installation of security systems and best practices to mitigate the possibility of false alarms.